Moore's customer taxonomy for technology consumers applies just as well to the philanthropic community. This suggests that the $330B total US philanthropic "market" can probably also be grouped according to same standard deviations of the normal probability distribution. - Innovators: these donors pursue new innovations aggressively, and are willing to invest in social enterprises before there's even a business plan. This includes student program grants, early-stage fellowships and maverick individual donors who enjoy discovering new talent. In probability terms, Moore estimates that this group is half the 3-sigma standard deviation or 0.15% of all donors, suggesting they control $525M of the $330B total US philanthropic "market". - Early Adopters: these donors buy into early-stage concepts. 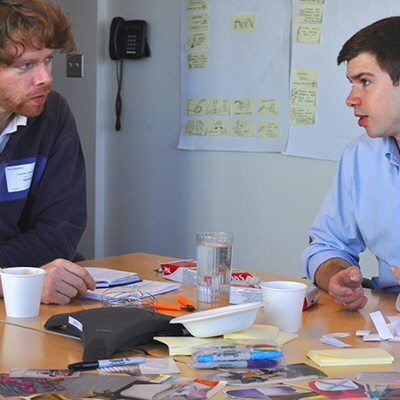 Consider mezzanine fellowships like Draper Richards Kaplan and Ashoka. This group is half the 2-sigma standard deviation (minus the tiny sliver of Innovators) or 2.3% of all donors, suggesting they control $8.7B of the $330B total philanthropic market. - Early Majority: these donors "share some of the early adopter's ability to relate to technology, but ultimately they are driven by a strong sense of practicality. They know that many of these newfangled inventions end up as passing fads, so they are content to wait and see how other people are making out before they buy in themselves. They want to see well-established references before investing substantially." This would be large institutional donors like the Gates Foundation. This group is half the 1-sigma standard deviation or 34% of all donors, suggesting they control $119B of the $330B total philanthropic market. - Late Majority: these donors "share all the concerns of the early majority, plus one major additional one: Whereas people in the early majority are comfortable with their ability to handle a technology product, should they finally decide to purchase it, members of the late majority are not. As a result, they wait until something has become an established standard, and even then they want to see lots of support and tend to buy, therefore, from large, well-established companies." These are the sorts of donors you see lending their names to museums, hospital wings and university buildings and many forms of corporate philanthropy. This group is the other half of the 1-sigma standard deviation, or 34% of all donors. - Laggards: these donors "simply don't want anything to do with [entrepreneurial ideas], for any of a variety of reasons, some personal and some economic. The only time they ever [invest in entrepreneurship] is when it is buried deep inside another product—the way, say, that a microprocessor is designed into the braking system of a new car—such that they don't even know it is there." This group is the other half of the 2-sigma standard deviation, or 2.5% of all donors. 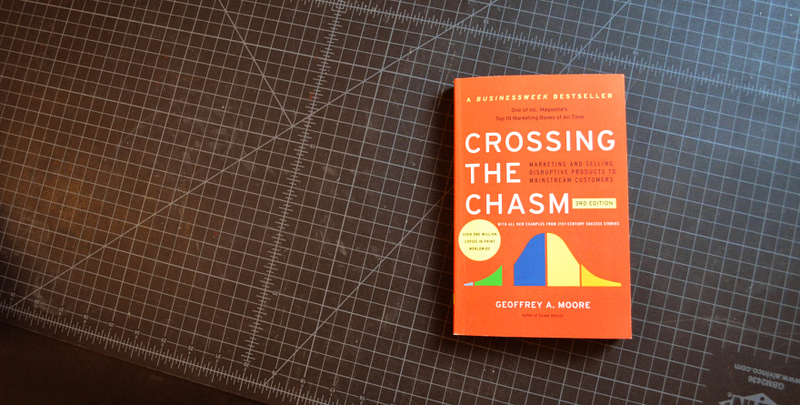 Moore goes on to recommend a number of specific strategies to help new technologies cross the chasm to reach the early majority. One of Moore's big ideas is the observation that the cultivation activities and funding pitches that work for "early adopter" innovation enthusiasts are useless in cultivating and pitching the more conservative "early majority". Moore's "early majority" are pragmatists, indifferent to fancy new gadgets (Moore's "generic product") but deeply concerned about the entire system (Moore's "whole product"). - Generic product: This is what is shipped in the box and what is covered by the purchasing contract. - Expected product: This is the product that the consumer thought she was buying when she bought the generic product. It is the minimum configuration of products and services necessary to have any chance of achieving the buying objective. For example, when you buy a tablet, you need to have either a Wi-Fi network at home or a cellular connection for it to work, but either one is likely to have to be purchased separately. - Augmented product: This is the product fleshed out to provide the maximum chance of achieving the buying objective. In the case of a tablet, this would include email, a browser, a calendar, a personal directory, a search engine, and an app store, for example. - Potential product: This represents the product's room for growth as more and more ancillary products come on the market and as customer-specific enhancements to the system are made. The fact that for the Apple iPad there are, at the time of this writing, some 374,090 apps on its App Store that I can buy to extend its reach and value is one of its key selling points. Moore argues that pragmatic early majority types are more likely to go for the incumbent's "brain-dead, ineffective Band-Aid approach to solving what has become a broken, mission-critical process" because they're worried about the system that provides the outcome. 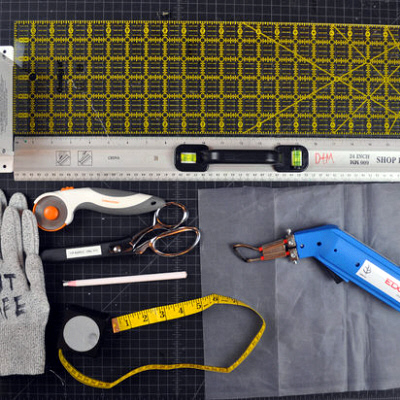 For a medical device, a "whole product" might include clinical trial data in the medical literature, regulatory approval, quality assurance practices, distribution channels (including the ability to negotiate customs), user-training materials, service manuals, supply chains for consumables and spare parts. This isn't conjecture. PATH released a report called Innovation Countdown 2030 that details thirty global health innovations technologies that they consider particularly promising. Acting as an agent for the early majority, PATH clearly placed less value on pure innovation than on an organization's ability to manage the unglamorous tasks of product financing, manufacturing, marketing and distribution at high volumes. 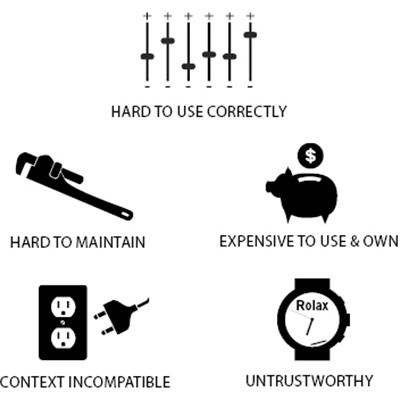 Similarly, value-engineered products like GE's Lullaby line may not be driven by the best principles in social impact design, but pragmatic consumers know that GE products come with regulatory approval and "GE Mark" quality control, comprehensive product documentation and a spares supply chain (even if that supply chain doesn't necessarily reach poor countries). Moore explains that the other challenge with market segmentation is that only groups who reference and reinforce each other can be thought of as a proper market. The notion that part of what defines a high-tech market is the tendency of its members to reference each other when making buying decisions—is absolutely key to successful high-tech marketing. [...] If two people buy the same product for the same reason but have no way they could reference each other, they are not part of the same market. That is, if I sell an oscilloscope for monitoring heartbeats to a doctor in Boston and the identical product for the same purpose to a doctor in Zaire, and these two doctors have no reasonable basis for communicating with each other, then I am dealing in two different markets. Word of mouth is ultimately a labor-saving phenomenon. It means that every single donor in a given market can serve as a trusted referral, cultivating potential new supporters on an organization's behalf. These network effects don't happen automatically. Who do you consider your most likely allies in supporting your organization? Are there any natural networks among them? 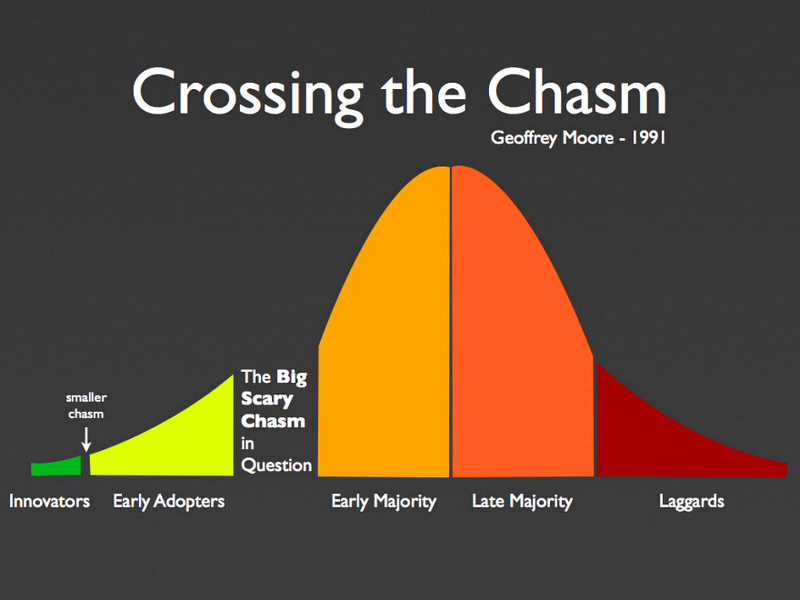 In his bell-curve taxonomy, Moore classifies "innovators" and "early adopters" as willing to make bets on disruptive innovations, even if the innovation hasn't yet assembled a credible business plan or the necessary partnerships. According to Moore's "technology position compass", these early adopter donors are specialists who are excited to hear stories about the product: benchmarks, design awards, user-endorsements. Early majority donors could not care less about how many followers an organization has on Twitter, or how many people saw the founder's TED talk. They're more impressed with academic citations, clinical studies, regulatory approval and strong peer references. Who do you consider as your early majority supporters? Where do they congregate? What results do they value? There's a whole class of business literature where title alone spares you the necessity of reading the book: one of these is What Got You Here Won't Get You There. In other words, the results and stories that impressed your early adopters won't impress the early majority--they may even find them repellent. In a sense, you have to learn a whole new way of talking about your mission and your results. - that provides (compelling reason to buy). - we have assembled (key whole product features for your specific application). 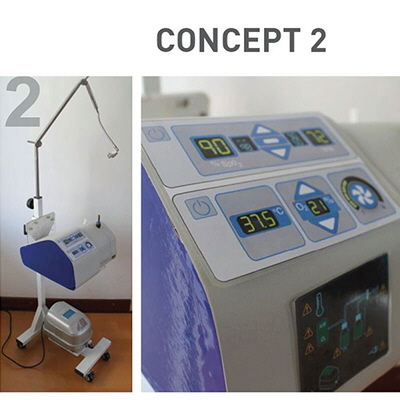 For global health NGOs focused on infant health who want to treat patients at the point of diagnosis rather than risk transporting them to crowded central facilities, Otter is a newborn conductive warmer designed specifically to allow rural hospitals with limited resources and inexperienced staff to successfully treat premature newborns who are especially vulnerable to hypothermia. Unlike the high-end incubators a rural hospital might receive as donations or the inexpensive radiant warmers they might receive through a government purchase, the Otter Warmer provides effective newborn warming that is "easy to use right and hard to use wrong"--in other words the device eliminates the most common sources of product failure. Remember when writing your value proposition that there's little to gain from bashing your competition. Rather, the goal should be to explain how your product occupies a niche that the competition cannot address. In other words, you don't need to make any claims about the quality of your competitor's products because you're certain that they're intended for a different context. Note that value propositions are closely related to another marvelous startup tool: the elevator pitch. It's just you and Bill Gates: how do you explain your great new idea before you reach the lobby? Consider these seven different frameworks for variations on the theme.